Suggested Use: Each full press of the pump provides approximately 10 mg of natural Progesterone USP. This Progesterone cream is formulated to contain 480 mg per ounce. Each full press of the pump provides approximately 10 mg of natural Progesterone USP. 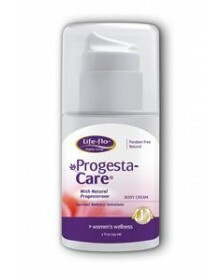 This Progesterone cream is formulated to contain 480 mg per ounce. Optimal Balance Solutions Natural Progesterone cream free of synthetics including Parabens Packaged in airtight hygienically sealed container Pre-measured amount (~20mg - recommended amount by Dr. John R. Lee) with two stokes of the pump making it easy to use with confidence Available in 1oz, 2oz, 3oz, and 4oz sizes Non-greasy and formulated for excellent absorption.